One of the most hotly debated topics in the prepping world is whether it’s wiser to bug in or bug out. The truth is that it really depends on the situation. Preppers who plan to bug in no matter what, or bug out no matter what, are not wise preppers. Bugging in has many advantages: you know the area and the people, you don’t need to abandon your home or your stockpile, and you don’t risk making yourself vulnerable out on the open road. Yet at the same time, there are certain situations where bugging in could guarantee your death. And if you do realize you need to bug out, it’s important to do it sooner than later because otherwise, it may be too late or you might get caught up in traffic. Thus, it’s important to keep an eye on the tell-tale warning signs developing around you. 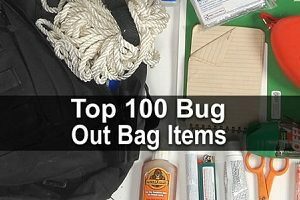 In this article, we’ll look at some warning signs that it’s time to bug out. Pay attention, because if you see any of these things happening, it’s time to hit the road fast. The time when it’s most obvious that you need to bug out is when you’re ordered to by the authorities. In this case, there really is no option. You might not want to go, but if they’re telling you to, then it’s better to be safe than sorry. If you hear about a mandatory evacuation, get out of dodge ASAP s you’re not stuck in traffic. If an incredibly massive storm is approaching, then chances are fairly good that you’ll be ordered to evacuate by the authorities. But sometimes they won’t order an evacuation, and in that situation, it’s up to you to determine whether bugging out is the right move. What you need to do is check the weather patterns in your area at least once or twice a day, until it becomes a habit. This way you won’t be caught off guard when the storm hits, and you’ll be able to take appropriate action before it does. There’s no denying that we are living in politically divisive times. Maybe that will change in the future, but for now, large-scale protests across the country seem to have become the new norm. A few of these protests have also been borderline violent. If rioting is occurring in your part of town, then it’s time to pack up and hightail it out of there until things calm down. Don’t assume you’ll be safe at home with your doors locked. If enough people are rioting, then even a home with great home security measures could be in danger. While you probably won’t be allowed to evacuate once martial law is declared, you could try to get out before it happens. If you see strong indicators that a government takeover is imminent, then evacuate while you still can. Signs of martial law include law enforcement and National Guard units setting up checkpoints, military planes flying overhead, and rationing, usually in response to a major crisis. The reason it’s so important to escape martial law before it happens is that you’ll have absolutely no freedom once it does. The Bill of Rights will no longer apply to you. Your firearms and even your stockpile may be confiscated, forcing you to stand in long waiting lines for food. The government will only tell the population what they want to tell them in order to keep them under control. That’s just a few of several things that can happen during martial law. If the world’s top leaders begin to disappear–as in you don’t see them on TV or in the news anymore–it could mean that they’re retreating to their bunkers and that something major is about to happen. Such a disappearance would likely be accompanied by ambassadors returning home and other chaotic events. Are foreign or United Nations troops starting to show up on the American border? This could be a sign that something terrible is about to go down. 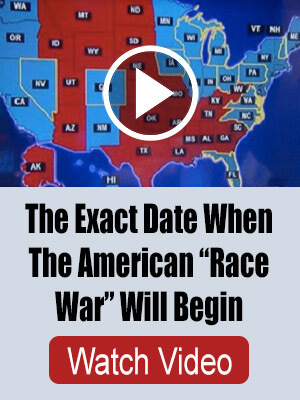 Granted, if this ever happens, things will likely be so bad that you’ll have bugged out already. But if you haven’t, foreign troops are a clear sign that it’s time to get out of dodge. A great reason to bug out is if there’s a major epidemic in your town or general area. At the very least, it will be a wise idea to bug out even if it’s just for a short period of time, especially if you or anyone else in your family has medical problems or a weak immune system that could increase the odds of catching the disease. Take note that epidemic refers to a major and potentially life-threatening disease within a contained area. It does not necessarily refer to viral infections such as the flu, so be sure not to panic unnecessarily. If there’s an abrupt and massive shortage of food, water, fuel, medicine, or other supplies in your area, bugging out soon would be a good idea because it means the markets in your area could collapse completely. And once the markets collapse, societal breakdown and rioting to some degree are almost guaranteed to ensue. A major nationwide or worldwide collapse of the markets is another huge indicator that things are about to get nasty. Once the markets collapse, ordinary and trustworthy people will start to turn on one another like savages for food and other necessities, which will signal the onset of riots and utter chaos. You can bug in at your home if you want, but if you’re not prepared or able to mount a serious defense, then retreating to safer ground outside of an urban area may be the safest option. One of the many symptoms of a complete and utter collapse would be a massive bank run, where a majority of a bank’s customers withdraw their funds all at once due to a concern that the bank will fail (which, ironically, causes the bank to fail). Although banks are FDIC insured nowadays, a withdrawal of that much cash could cause hyperinflation, where money begins to rapidly lose its value. In this scenario, you’d be wise to spend all your cash on food and other supplies before the stores are stripped clean. Finally, if things ever get to the point where your home is compromised or you just don’t feel safe at your house anymore, then bugging out may be the most viable option. 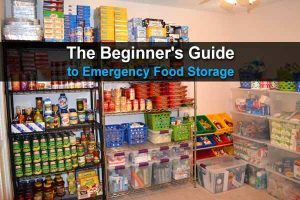 For example, if your stockpile of food and water has become depleted and you have no means of getting more, then evacuating to a designated bug out location where you know you can resupply yourself would be wise. Another example would be if your home has come under repeated threat from burglars, organized raiding parties, and marauding gangs and you don’t believe you can mount an effective defense. While bugging in is usually the safer option, if any of the above scenarios happens, then bugging out could be your only chance at survival.